The genesis and phenomenal growth and development of Vallabh Vidyanagar, the wellplanned and unique educational township situated in the heart of the Gujarat State, is stranger than fiction. Based on local talent and local resources it is a peerless example of self-reliance and dedication. 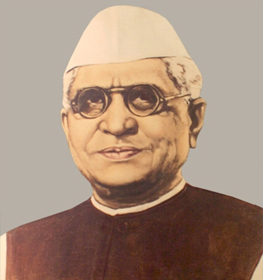 While working in Sindh (now in Pakistan) as Superintending Engineer in Sukkur Barrage, Yevala in Maharashtra and Ahmedabad Municipality, as a distinguished Chief Engineer, Shri Bhailalbhai Dyabhai Patel, later warmly taken to their heart by the people of Gujarat as 'Bhaikaka', had earned reputation for his sense of values, discipline, dedication to duty and absolute integrity. Having been born and brought up in a family of strained financial resources in Sojitra village in Kheda district he had known what it meant to be poor. 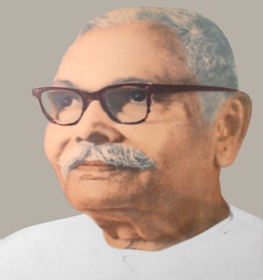 So, while in the government service he would pine for dedicating himself to the cause of rural India which was sunk in inertia, squalor and abject poverty. Once during a meeting between him and Sardar Vallabhbhai Patel, who knew Bhaikaka as a man of practical bent of mind, unusual ability and character, Sardar advised him to go to the villages and work for their regeneration. Sardar's wish was tantamount to a command to him. Bhaikaka's irresistible desire to improve the lot of the poor villagers coupled with Sardar's advice or command impelled him to take early retirement from the service. He saw that the most potent instrument to improve the subhuman life of villagers was to bring higher learning to their very doorstep and thus the concept of establishing institutions of higher education started taking shape. He got in touch with Shri Bhikhabhai Kuberbhai Patel, a dedicated and farsighted educationist, fired by the same ideal. He had played a pivotal role in the establishment of Charotar Education Society in Anand and Narmada Kelavani Mandal at Shuklateerth.